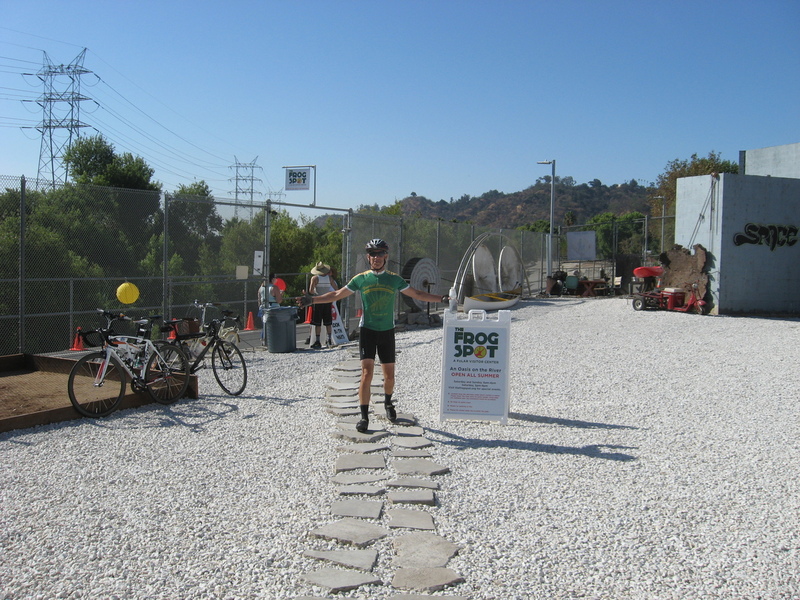 I’d read this week that the Friends of the L.A. River have put up a little visitor center along the river, next to the southern end of the bike path. So this Sunday’s bike club ride was a trip there to visit it. It was a nice day for riding. 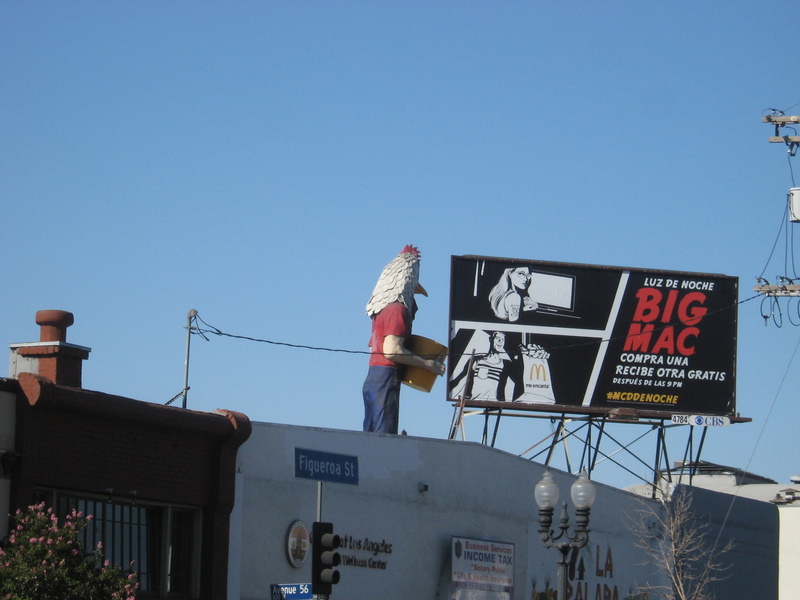 We headed through South Pasadena and Highland Park, where we passed the one and only Chicken Boy. Then we crossed the river and got on the bike path. 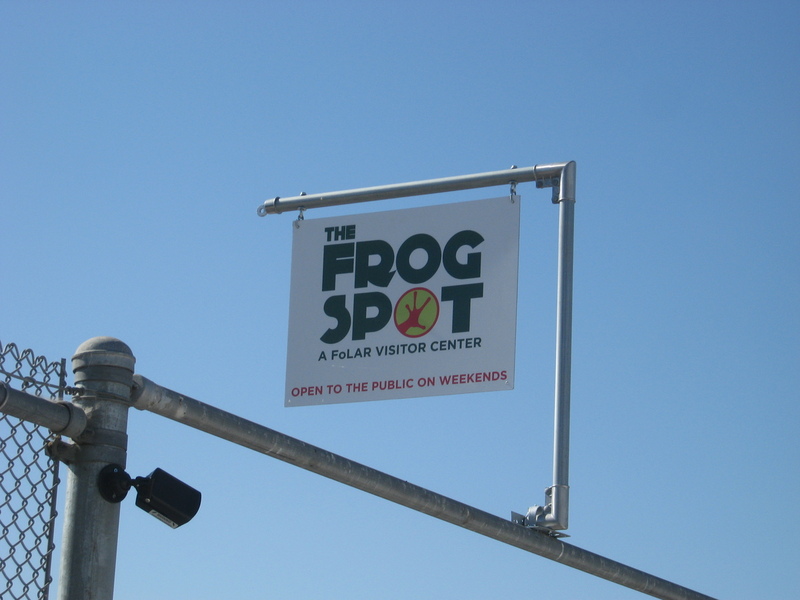 About a mile or so up the river, we came to the Frog Spot. We stopped there in the shade for a bit before continuing on. 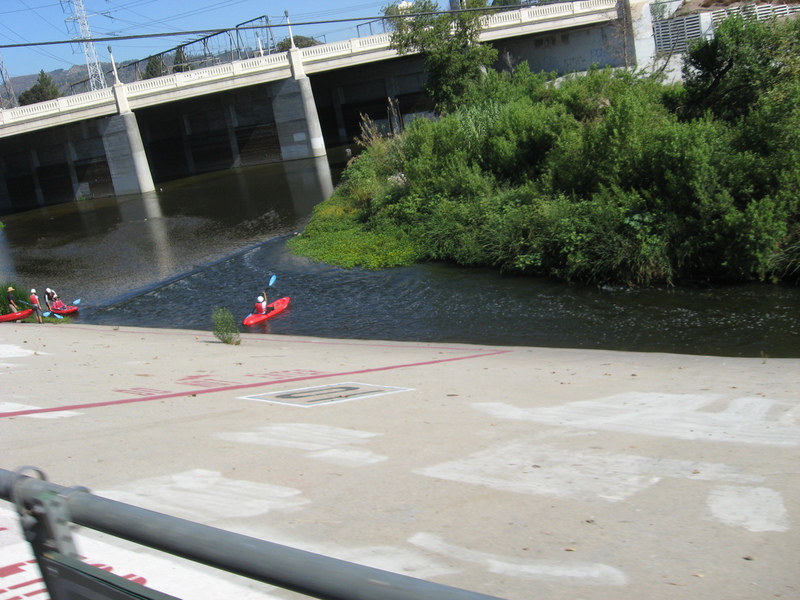 At Fletcher, we saw kayakers going in to the river. 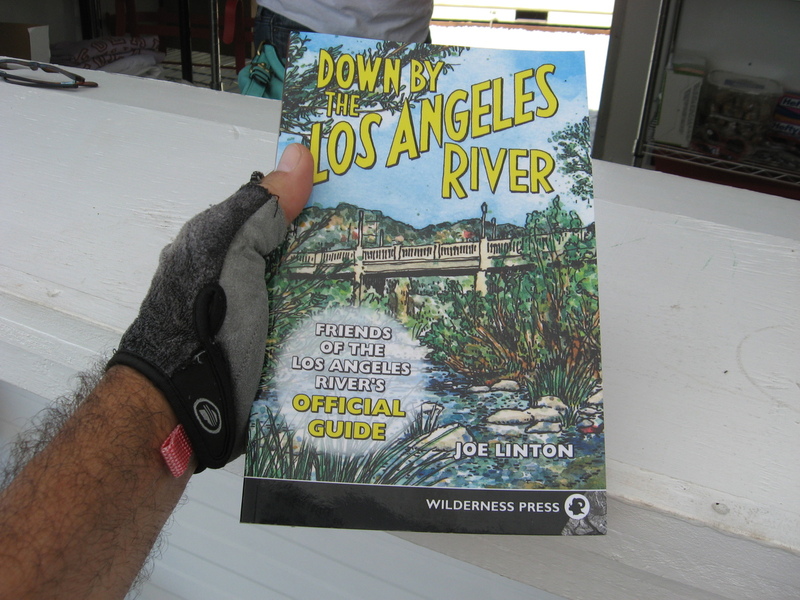 While I think that’s a nice use of the river for recreation, it’s just not the same since we took the sewage treatment plant tour last March and found out why there is now water in the L.A. River year-round. 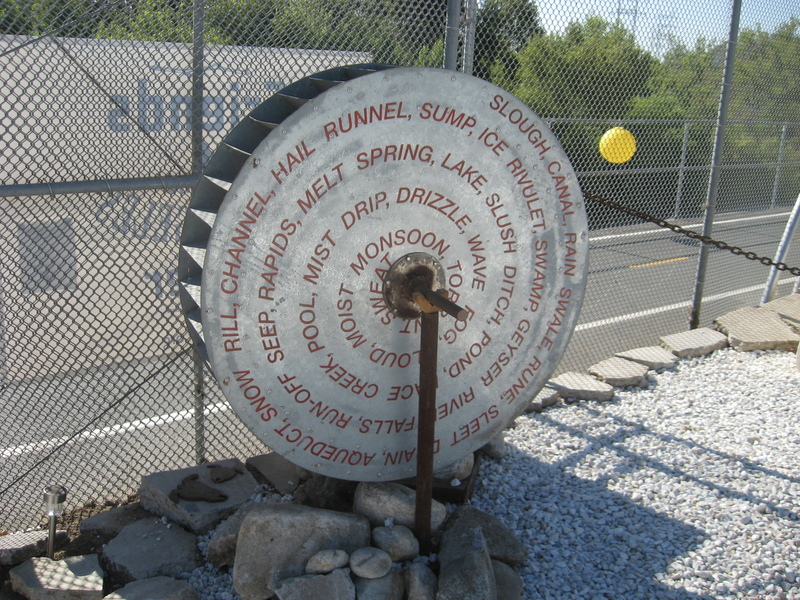 The river used to be almost completely dry in the summer, but after they opened the relatively-new Donald C. Tillman sewage treatment plant in Van Nuys that discharges enough treated water into the river to make it run like a real river all the time now. We continued on to the end of the bike path, and then rode Riverside and Moorpark out to Studio City and the gelato place we like. We stopped for snacks there before heading back.